The Spallanzani Hospital was founded in 1936, in Rome (Via Portuense, 292). 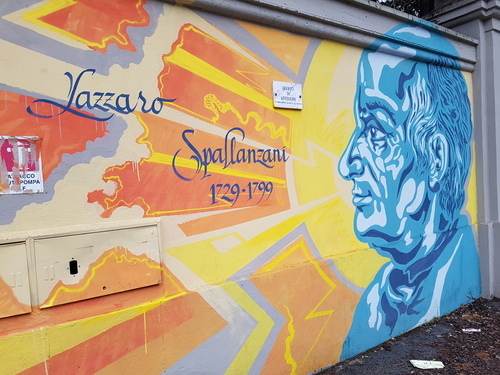 It was dedicated to Lazzaro Spallanzani, an Italian biologist, who lived in the 18th century. 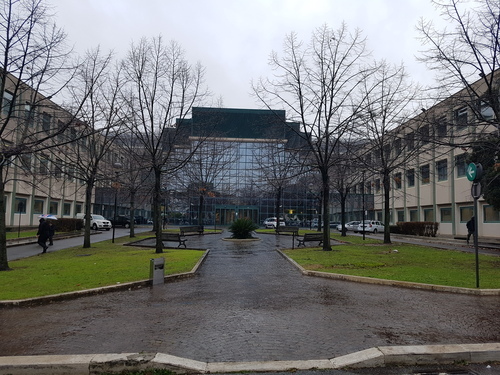 Since its foundation, this structure was used as a centre for infectious diseases, becoming the most important centre in Italy and one of the most relevant worldwide. Started in 1928, the buildings were finished in 1935. It was founded as "Ospedale Contumaciale" and was popularly known as "Lazzaretto"1. During the World War II (1940-1945), it also provided assistance to veterans returning from every front, becoming a military hospital2. 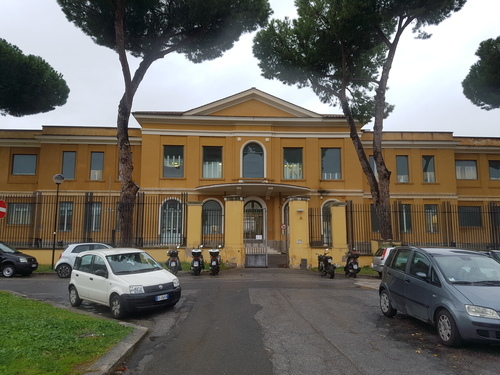 Starting from the foundation, the hospital was run by the municipality of Rome. From 1971, the hospital gradually grew, becoming an indipendent institution. Moreover, it faced many bio-emergencies like polio in the thirties, cholera, salmonellosis and hepatitis in seventies. Later, in the eighties, many cases of AIDS were treated. In 1991 the structure was expanded and modernized. 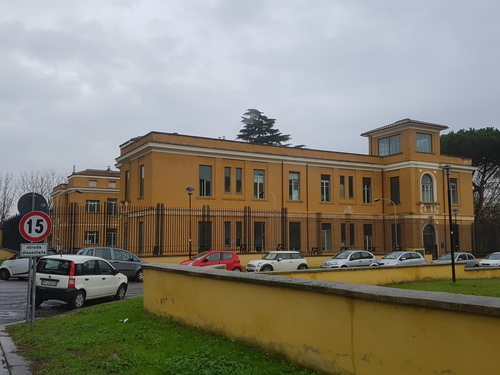 Because of the increasing threat of chemical and biological weapons, in 2003 the hospital was chosen as the main centre for bioterrorism in Italy, turning into the national centre for contrasting infectious diseases. 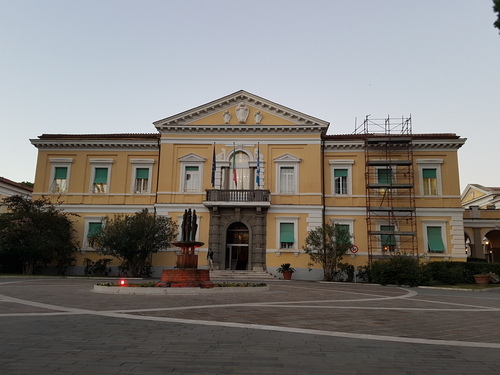 At the moment, the Spallanzani Hospital has the only lab of bio-security level 4 in Italy, where was cured the voluntary doctor, infected by Ebola. It is also endowed with 5 labs of biosecurity 3 and a cryogenic bank3. - Tommaso Pontano's memorial tablet. 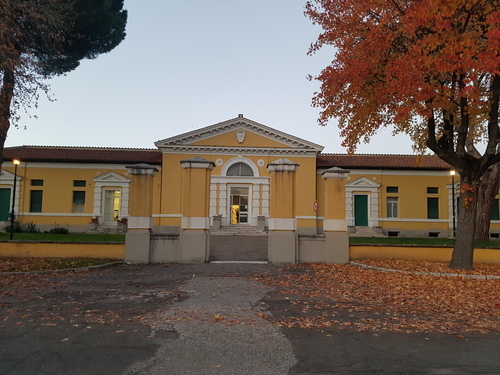 After 80 years from its foundation, an " Hall of Fame" of 13 great scientists and doctors of the past, starting from Lazzaro Spallanzani was realized. This mural was called "Lessons from the past, challenges for the future". 1. Massimo Viviani, Il nostro Spallanzani, Roma 2007, pp. 44-45. 2. Massimo Viviani, Il nostro Spallanzani, Roma 2007, pp. 53-54. 3. See Hospital's official site.